Browsing the web, you’ll find thousands of suggestions on ways to speed Lightroom up. Some of the suggestions work. Others are complete myths. Some suggestions can even make Lightroom slower. Simply saying, “Lightroom is slow” doesn’t help, because different areas of the program benefit from different optimizations. For example, if you’re finding it slow in the Develop module, rendering 1:1 previews won’t help. To fine-tune performance, you need to understand what Lightroom’s doing under the hood. In this Lightroom Performance series of posts, we’re going to take a close look at the different factors that affect Lightroom’s performance. First, we’re going to discuss and debunk a few of the myths from other blogs, which I discovered while researching this series. Next, we’re going to discuss Lightroom’s hardware requirements, and in case you’re buying a new computer, we’ll also understand which hardware has the greatest effect on different areas of the program. Over the following weeks, there’s a run of four posts, covering the tweaks you can make to your existing computer to improve Lightroom’s performance, including general operating system maintenance, settings within Lightroom itself, which of Lightroom’s previews and caches you need to utilize, and finally, ways you can tweak your workflow to shave off extra time. Finally, we’re going to end with a summary of how to improve the speed in specific areas of Lightroom. 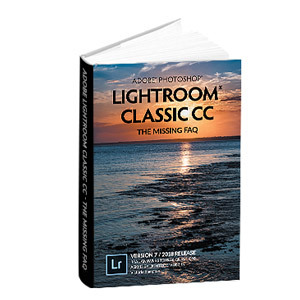 If you’re itching to speed up Lightroom right now, and don’t want to wait a couple of months to complete the series of posts, you’ll find all of the information in the Improving Performance section of my Lightroom CC/6 book on pages 551-563. The book also includes detailed flow charts and tables that will not be featuring in these blog posts. Before we start optimizing Lightroom, however, it’s important to understand what we can expect from Lightroom. I frequently hear people say, “But my computer runs fine with everything else,” only to then discover that they’re only running web browsers and office software, which use minimal resources. 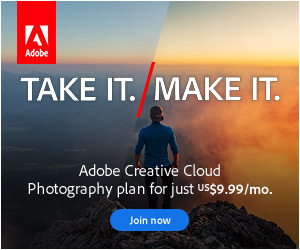 Others complain that Photoshop runs fine, but when they try to do the same tasks in Lightroom, it crawls. File Size – Lightroom’s text instructions are tiny, and since it doesn’t touch the original image pixels, you only have the text instructions and the original image file to store (plus backups, of course). In Photoshop, the edits are applied to the pixels, so you need to work on a copy of the photo, and if you start saving additional layers, the file size can balloon even further. Winner – Lightroom. Changing Edits – If you make an edit one day in Lightroom, and change your mind the next day, you can simply move the slider back. No pixels were harmed in the process. In Photoshop, on the other hand, you either have to start all over again from the original, or if the change isn’t too huge, you may be able to tweak the edited file, albeit with a lower quality result. (Or if you were really sensible, you may have used layers in Photoshop, at the cost of a larger file.) Winner – Lightroom. Quality – Photoshop applies adjustments in the order you make them. If you lighten a photo and then darken some areas of it, you can’t pull back the detail you’ve lost in that earlier step (without layers, etc.). Lightroom has the advantage of working on the raw data and silently applies the edits in the optimum order when exporting, with a higher quality result. Winner – Lightroom. Speed – As we’ve seen, Lightroom has to constantly re-run text instructions, whereas Photoshop applies them immediately and directly to the pixels. For global edits, that’s not too noticeable, but Lightroom can start to drag when using multiple local adjustments and retouching multiple spots. For this reason, pixel editors such as Photoshop and Elements are still better suited to more detailed retouching. On the other hand, when you’re doing global edits to a large number of photos, Lightroom is far quicker than opening each of the photos in Photoshop. Winner – for editing lots of photos, Lightroom wins, but for detailed local edits, Photoshop wins. It’s simply a case of understanding their strengths and weaknesses. For editing most of your photos, Lightroom wins hands-down. For building complex local adjustment masks, doing detailed retouching or even removing numerous dust spots from scans, Photoshop is still the better tool for the job. * In this context, we’re referring to Photoshop itself, as an example of a pixel editor. The ACR plug-in uses non-destructive editing principles like Lightroom. Next week, let’s debunk some Lightroom performance myths. Much of what you say is also true if working in Adobe Camera Raw (ACR) that can also batch process. However, I agree that certain things can’t be done in either Lightroom or ACR; long live Photoshop (with its Clone Tool and Adjustment Layers)! Yes, of course, Photoshop can host the ACR plug-in, which works non-destructively like Lightroom. But as far as Photoshop itself goes, it’s a pixel-based editor. I really like how you described the non destructive editing of LR vs PS. If you don’t mind, I may incorporate it into a LR class I teach for novices. You’re welcome Jim, I’m glad you like it! Thanks Victoria, but there is something I don’t quite understand after reading your article. I thought all the parametric text instructions in Lightroom were applied only in the output modules like Print, Slideshow, Book, Web? Clearly we still need to see a preview of the final image whilst we’re editing in the Develop module, but those instructions could be (and indeed appear to be) applied sequentially as we’re editing. They’re also applied on-the-fly to the preview in the Develop module, otherwise you couldn’t see what you were doing. However even in the Develop module on-the-fly preview, they’re not applied in the order you applied them, but rather, Lightroom does them in the “right” order. Does that make sense, or are we talking at cross-purposes? That does make sense thank you. It’s actually quite amazing that a whole series of brushes (for example) can be applied as instructions. That feels like quite a bit of processing power. I’m looking forward to your next article on this. I’ve occasionally wished that I could remove Develop history instructions other than what’s on the top of the stack. Maybe I like everything except I want to remove an instruction that’s not at the top but leave everything else. Do you know why this isn’t possible? You mean you want to retain the most recent history state, but clear the others? For what purpose do you want to keep the latest? I like everything I’ve done except one step that’s not at the top. It could be a crop or anything else. Given your explanation of how LR works, fewer instructions are better so removing any unwanted step would be better than undoing it by adding an additional instruction. The History keeps a record of each step in the order that you applied the adjustment, but Lightroom also keeps a separate record of the current set of settings. So even if you clear the History, your current Develop settings would remain. If, having cleared the History, you wanted to remove the crop that you don’t like, you could simply open the Crop tool and change or reset the crop. The same goes for any slider in Lightroom, or any local adjustment. But I don’t want to clear the History. I still want to keep and see everything else. If I crop and then reset the crop, how many instructions will LR have to process, 0 or 2? Here’s an example of an instance where I think being able to edit develop history would give me something that reset doesn’t. I did these adjustments: white balance, Highlights, Shadows. Next I did a Crop Angle adjustment. I was wondering how Transform->Level would compare so I tried that without undoing the Crop Angle and clicked on Constrain Crop. That was closer to what I wanted so I tried resetting Crop to undo Crop Angle but that just removed the Level Constrain Crop, not my original crop, even though I did the reset from the Crop dialog, not the Transform dialog. This could be a special instance since two different Develop tools are both cropping but being able to remove my original crop from the History would give me what I want without having to redo the changes. I notice that the longer I have LR 6/cc open it begins to slow. If I leave it open all night the next morn it is so slow it sometimes goes to “no response”. If I close LR and reopen I am up to speed again. I think something else is going on other than what you discuss above? Using Copy – Paste and deselecting the “wrong” parameter will allow removal of a unwanted edit. Yes, that’ll work, although it’s a bit of a faff. It’s probably easier just to move a slider back. Would be even better if there were a printer-friendly option! Great idea Alan. I’ll likely turn it into an eBook at the end of the series. I’m quite surprised. Or could it be that I’m just bewildered. It looks as though LR is reapplying all the operations you’ve effected, in its preferred order, to the original image every time you do something. I’d have thought that there’d be times when it could just apply your last operation to the image in its current modified state without having to always start from the original image. PS If I forget to untick the “sign me up” box will I be signed up multiple times? Lightroom does cache the image at different stages to help with the speed, but it still has to rerun some things. And no, you’ll only get signed up once, regardless of how many times the box is checked or you fill in any of the forms on the website. After applying an adjustment, I often turn the adjustment tool off and on several times so that I can compare the image pre and post adjustment. Of course each of these on/off clicks gets its own entry in History. I have often wondered if such non-essential entries slow down the processing. If I understand your blog correctly, Lightroom will ignore the offsetting commands rather than execute each. Yes, that should be fine George. It’s a tiny bit more information to read from disk, and can inflate the catalog size, but nothing huge. Victoria, yours is the best photography tutorial and information website I have run into so far. Your explanations are precise and clear, resulting in my learning a lot very time I visit. Thanks so much. Thanks Fraunt, glad to help! Oh my goodness thank you so much! I have spent the past THREE HOURS desperately trying to fix whatever was making it go so slow. I have read a million blog and forum posts and tried everything and NOBODY has explained this: “Speed – As we’ve seen, Lightroom has to constantly re-run text instructions, whereas Photoshop applies them immediately and directly to the pixels. For global edits, that’s not too noticeable, but Lightroom can start to drag when using multiple local adjustments and retouching multiple spots.” OMG! Yes, I knew that it was nondestructive blah blah, but I did NOT understand what that meant as far as rerunning everything with every new step! I am new to lightroom and I have watched hours of tutorials on lynda and youtube, and I have a handle on the basics, but nobody explained THAT. Thank you thank you thank you! I’m glad it helped SQ! hi, great stuff, but i have an issue im really stumped with. I use the nik plugins, which run fine, BUT in lightroom 6 after Ive processed an image with the nik plugin, that imge is really slow to use in the develop mode. keeps having to re load. It was fine in LR5. Maybe some kind of metadata read problem. Are you on 6.10? And if you were to restart LR (or even switch to another image and back again), does the problem go away? wow, thanks for answering, switching and restarts don’t make any difference, currently doing an update so hopefully that’ll sort it. So, I have found a work around to the slowness issue of Lightroom with high end PCs. Also, this confirms our suspicion that Lightroom fails to leverage the extra cores in high end PCs. TL;DR; – I created a virtualized Windows 7 x64 machine and installed Lightroom on it. It ran blazingly fast on my monstrously overpowered PC, instead of insanely slow like it had when it was installed directly to the host OS. ** I set the cores to 4 and memory to 4GB. Works great. ** Then I set the cores to 6 and left the memory at 4GB. 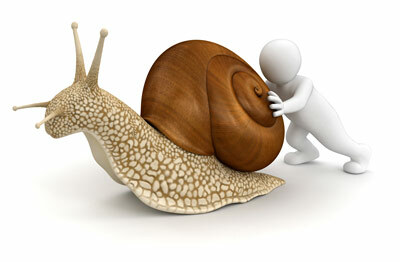 Things got noticeably slower. ** Then, 8 cores and 4GB, horrendously slow. For those looking to do the same, here are the steps. — 1. Install Virtualbox (or something similar). 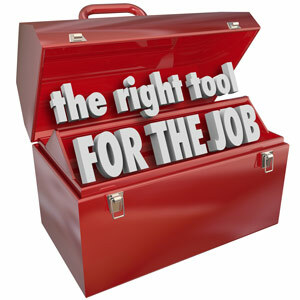 It’s free and a very powerful tool. — 7. Switch to Fullscreen or Unity mode and edit away!